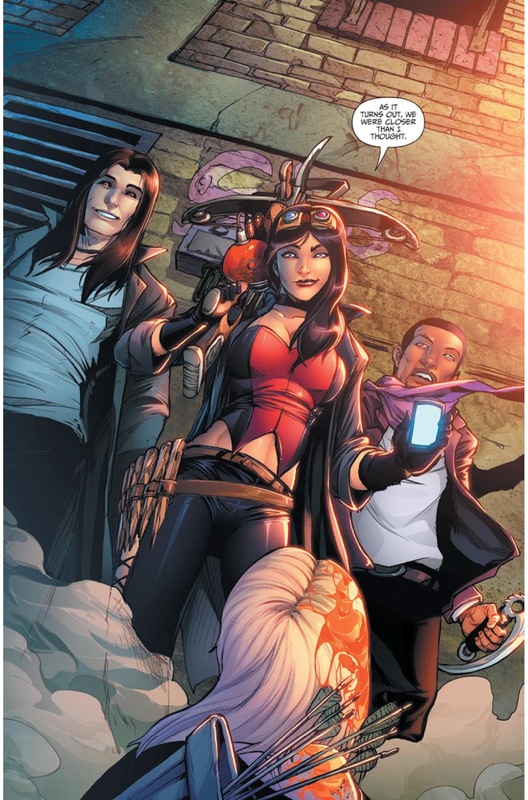 The Fellowship has obtained a first look at GRIMM FAIRY TALES: APOCALYPSE #1 from Zenescope Entertainment. 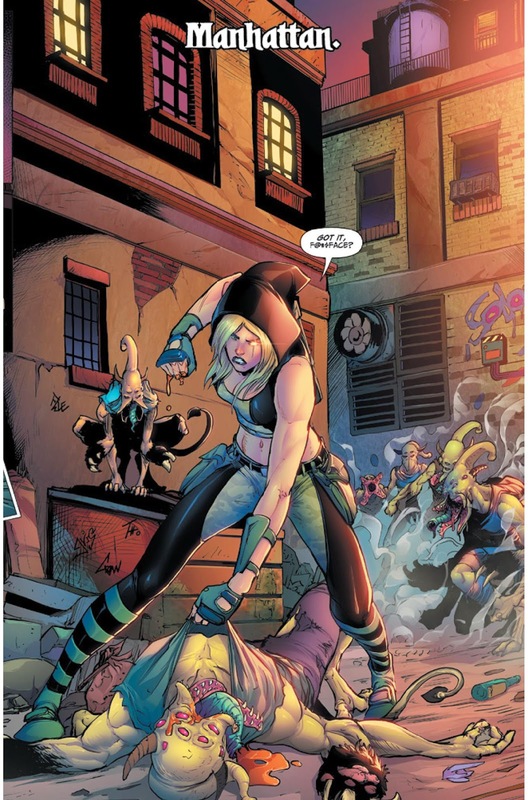 The issue, which hits stores August 31st, is written by Pat Shand (Robyn Hood, Hellchild), drawn by JG Miranda (Wonderland), colored by Hedwin Zaldivar (Oz), and lettered by Taylor Esposito. THE FOUR HORSEMEN! NEW SERIES! 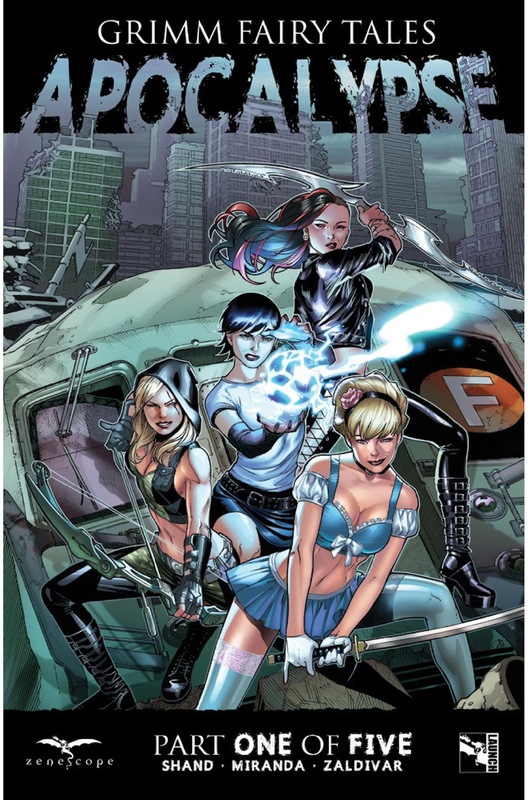 FEATURES: Robyn Hood, Hellchild, Cinderella, Marian Quin! 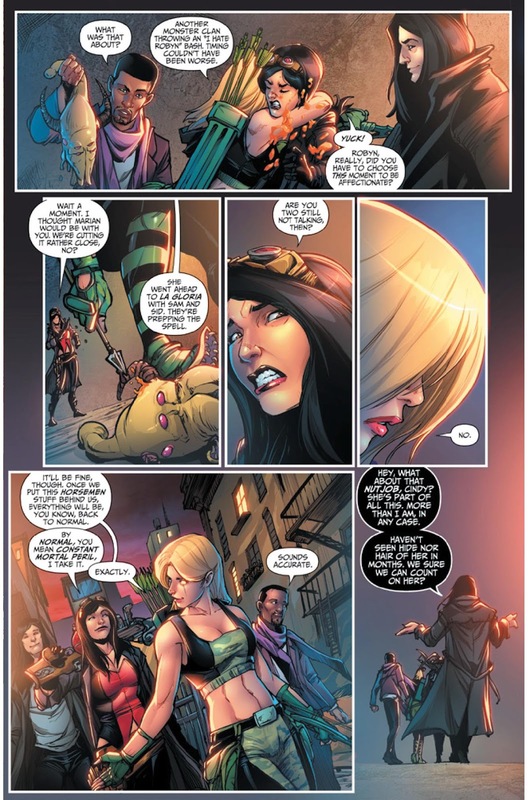 The casts of Zenescope's flagship series - Grimm Fairy Tales, Robyn Hood, and Hellchild - unite for an event to end all comic book events... the apocalypse. 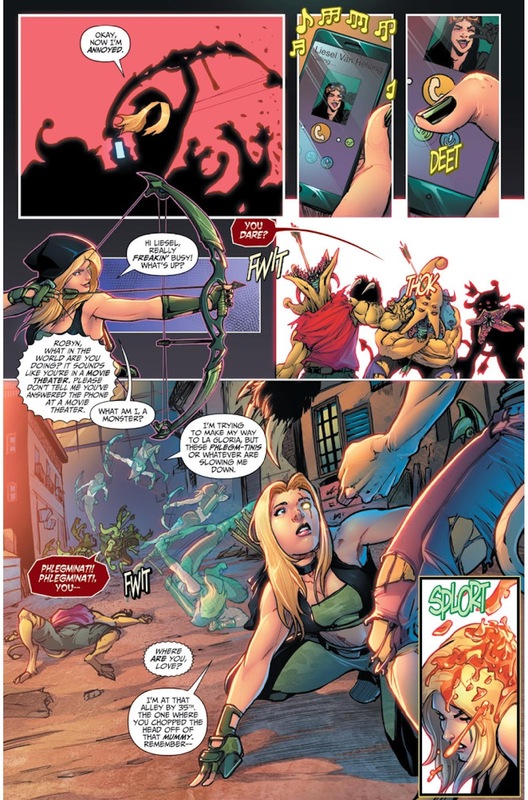 One year ago, Robyn Hood and Marian Quin united to imprison the Four Horsemen underneath New York City, preventing the apocalypse. Now, faced with the return of these unstoppable, immortal demons, Robyn had a choice: sacrifice the world... or her soul.